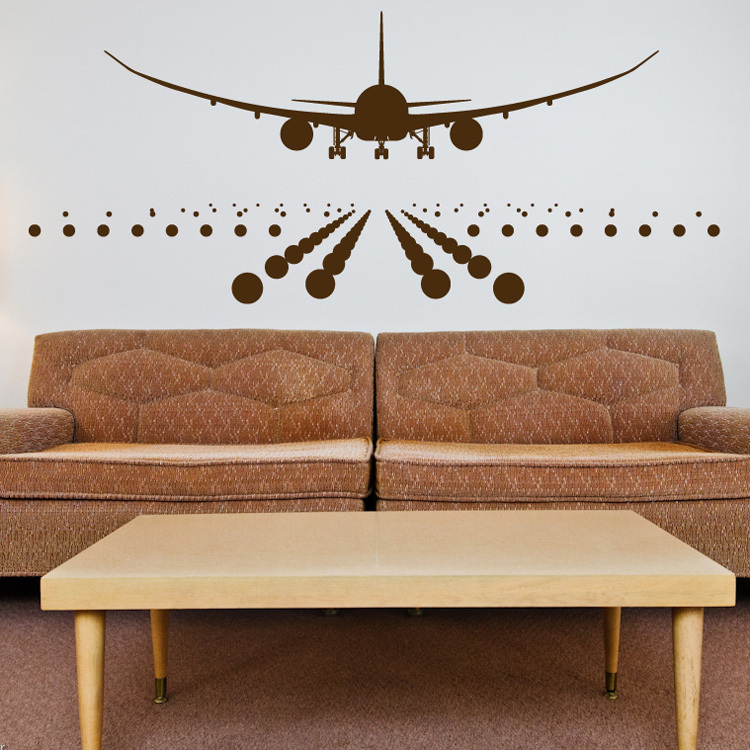 This magnificent silhouette of an airplane landing makes an incredible wall decal! 61 inches wide by 26 inches high. Airplane decal alone measures 49 inches wide by 13 inches high. Lights for the runway measure 61 inches wide by 9 inches high. Available in any of our colors! This airplane landing on the runway decal can be cut apart and placed however you like! However, it comes as shown and ready to apply. Practice decals are included with every order.